Back in the 80's I worked with Jane Bonin, then an English professor at the University of Louisiana at Lafayette, in a project called The Hunger Project and was inspired by her dedication to helping end world hunger. She definitely had a calling to make life better for poor, disenfranchised people throughout the world, so a few years later I wasn't surprised when she retired from her position at the University, packed her belongings, and went off to Washington, D.C. to work on the staff of the Foreign Service Institute in the U.S. State Department. Ultimately, she accepted a position on the Peace Corps staff and was sent to Africa. During the two years she spent in Malawi as an Associate Peace Corps Director and the four years she worked as a Country Director in Niger, she came to love Africa and its people and began recording her experiences about her life there. During Jane's sojourn, I kept in touch with her but didn't know that she had been writing about her experiences in Africa until she returned and revealed her writings to me during several visits I made to Washington. In 2002, Jane allowed me to read some of the vignettes she had written about Africa, and I recognized that the material was highly publishable. They were reflective of Jane's heightened awareness of her surroundings and her ability to document meaningful experiences. However, she tucked the writing away until this year when she decided to publish these personal, poignant sketches about the people and culture of Malawi, as well as several vignettes about Niger in a book entitled The Color of A Lion's Eye. Border Press Books will launch the book this month, and readers will be delighted with a wonderful collection of vignettes that I think are reminiscent of the description and characterizations in essays by D. H. Lawrence in Mornings in Mexico and the people and landscapes depicted in Alexander McCall Smith's novels set in Botswana. Jane prefaces her book with a charming introduction, setting the tone for the vignettes that follow. She writes, "if we were in Africa we would sit on a mat under a tree and tell our stories one to the other. I hope this remembrance will be the next best thing." In the twenty-four vignettes that follow, the reader will be treated to stories that range from an account about Jane's family origins and her kin's desire to serve others to a final essay about her encounter with a lion in Le Jardin Zoologique in Niger, a country among the poorest in Africa. "a country burning down...billowing smoke, tongues of flame, and the blackened scorched earth [making] it appear that the whole countryside was on fire...I later learned that Malawians have a practice of burning off the stubble from their fields in preparation for the next planting of corn. The sugarcane farmers do the same thing in Louisiana, but I remember it as a more controlled exercise..."
Detailed descriptions of landscapes, weather, and experiences in an African beauty parlor, highlighted by amusing personal encounters are recorded in a style that reflects Jane's burgeoning worldview. In a visit to Zimbabwe, she treks through a rainforest with waist-high brown grass that reminds her of Hemingway novels and takes the reader into what she describes as the hot and dusty "real" Africa. However, intruders who steal a generator provided by the Peace Corps for her use during power outages remind her that thievery is sometimes part of everyday life in the Third World. "The pigeons captured the essence of brief periods of repose at day's end. Their soaring flight home every evening meant that I was home too. I had made a home of a rented house, tacky government-issue furniture, a flock of village pigeons, and a servant and his family. The sense of being at home that I felt during those evenings on the khande was an unexpected blessing. I never experienced it again in Africa..."
"a pure, cold green, the color of the inside of a kiwi. I was seized by the moment and could not take my eyes away. My memory, uninvited, supplied an image—"From Greenland's Icy Mountains," a line I learned as a child from a pompous and condescending Anglican mission hymn I had not thought of in decades...that color, which I can still recall, came to stand for the mystery of Africa and the mystery of my life that had brought me to this beautiful and terrible place..."
This essay is the concluding essay in The Color of A Lion's Eye and leaves the reader with a sense of Jane's earnestness and nostalgic feeling for a country she grew to love. These vignettes give readers a sense of immediacy and reality, are filled with the tastes, smells, sounds, and concrete language of an expert personal narrator and possess an emotional dimension that places it as a tour de force in contemporary travel literature. We have waited a long time to see these vignettes in print, but the wait has been worth it. Brava, Jane, and don't make us wait so long for the encore! Available from Amazon or Border Press Books, P.O. Box 3124, Sewanee, TN 37375 (borderpress@gmail.com). The cost for purchasing from Border Press is $15 plus $4.95 for shipping and handling in the U.S. 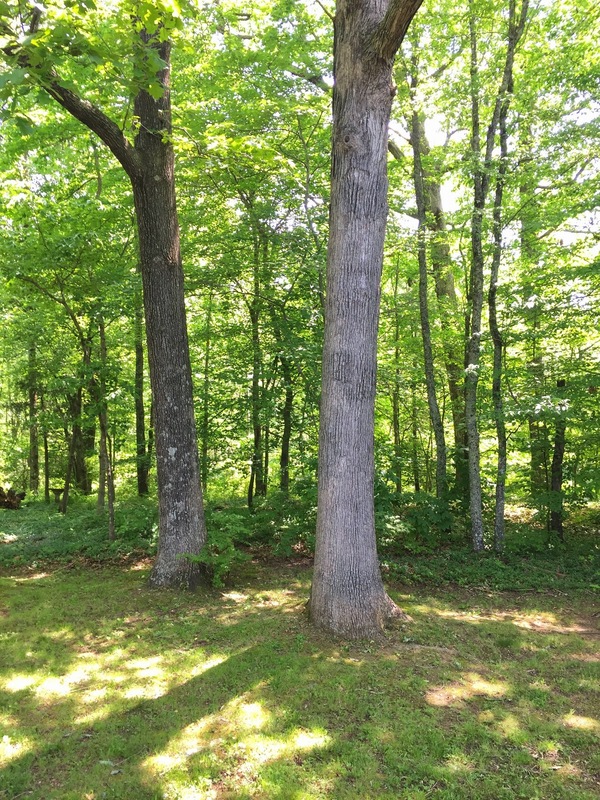 Although my evening time on the porch gives me a view of a lovely woods that include white oaks, maple, dogwood, and tulip poplar trees, I miss the tall pines that edge my front yard in New Iberia, Louisiana. I grew up in the piney woods of southeast Louisiana and have always enjoyed the sharp scent of pine needles and the cheerful appearance of those straight-backed conifers. Yesterday evening while I sat looking out at two fat white oaks, I thought about the Louisiana botanist, Caroline Dormon, whose picture of her hugging a large pine tree appears in my book, THEIR ADVENTUROUS WILL: PROFILES OF MEMORABLE LOUISIANA WOMEN . 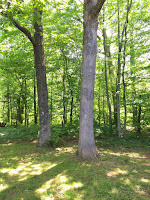 * Dormon probably would have agreed with Chinese practitioners of medical massage who believe in the healing abilities of trees—they tout that trees absorb the earth's energy and the universal force from the heavens and help humans channel and cultivate calm. The practitioners advocate that pine trees radiate Chi, nourish blood, strengthen nervous systems, foster long lives, and are the "immortal trees." Caroline Dormon would have added that they also nurture the human spirit. She lived on a 120-acre tract of piney woods called "Briarwood" near Saline, Louisiana, received a presidential citation for her work in conservation of trees and was the first woman in the U.S. to be elected an associate member of the Society of American Foresters. In 1921, she also became the first woman to be hired by the Louisiana Forestry Service. "The great pines came right to the water's edge on these lovely clear creeks, with only an occasional magnolia and dainty wild azalea and ferns. There the idea was born—this unspoiled beauty must be preserved for future generations to enjoy..." And for over a decade she urged congressmen, senators, judges, and the U.S. Forest Service to purchase and preserve the pinelands of north Louisiana. On June 10, 1930, the National Forest Preservation Committee purchased 75,589 acres in three districts of Kisatchie, Catahoula, and Vernon, and Dormon called it "Kisatchie," which became its official name. The forest now contains approximately 600,000 acres of "green gold." Like the Chinese practitioners mentioned above, Dormon regarded trees as anthropomorphic, writing of them to a close friend: "Those pesky lumbermen were here again today trying to convince me that 'grandpappy' (a 300-year old longleaf pine tree) wouldn't outlive me...oh my, the tales he could tell of his rugged survival through the storms of life." Then she sat down and wrote Forest Trees of Louisiana (1943). Dormon's home place, Briarwood, was recognized by the American Horticultural Society as a sanctuary for the flora of the South and remains a large natural laboratory sustained by the Caroline Dormon Foundation. 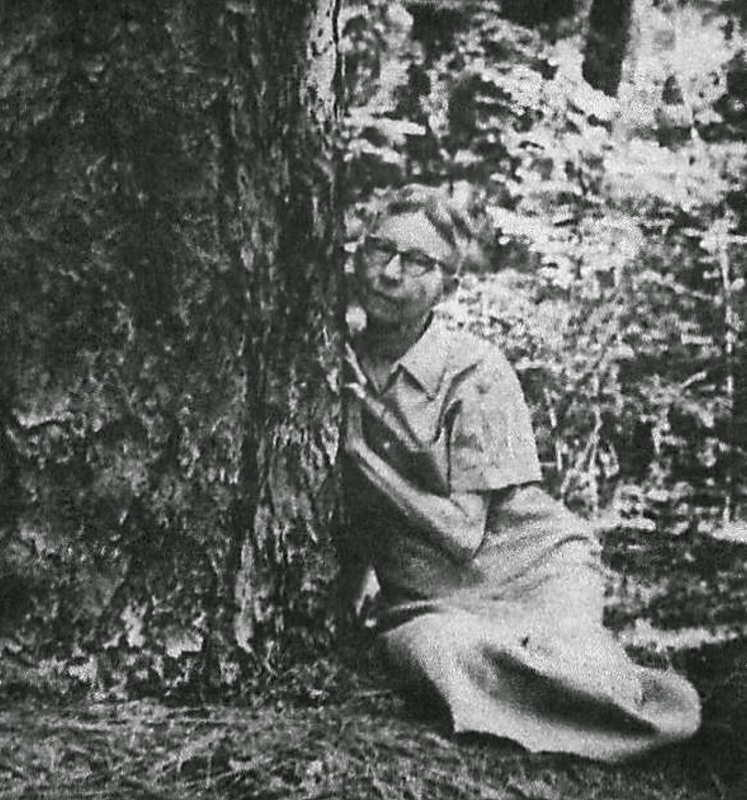 During the last years of her life, the ailing naturalist lay abed beneath a bright quilt in the bedroom of her log cabin, looking out the back window and communing with her beloved trees. Dormon felt that trees were immortal and she also had an abiding interest in plant life, believing that if herbaceous plants were hybridized, they, too, would never die! A note for porch sitters and tree lovers: Chinese practitioners believe that a human can interact with trees by sitting and communing with them silently, and the silent, subtle energy leads a person into the wonders of the tree's inner life. But tree climbers are discouraged from doing any careless climbing, and tree lovers advocate open and respectful behavior, rather than pressing the trees to serve selfish purposes (does this include building tree houses?). And so much for backyard meditation, developing a relationship with trees, and collecting energy from the so-called most spiritually advanced plants on earth. Years ago, I encountered a friend from New Iberia in a Barnes and Noble bookstore in Lafayette, Louisiana. He was standing before a rack of books, staring intently at the covers of books that he didn't bother to open. "Looking for something special?" I asked. He barely acknowledged me and continued to scrutinize the covers. As I'm curious about book lovers, I persisted. "What do you like to read?" He frowned, saying, "I never look for book authors or titles; I choose my books according to the color and design of the cover. If a cover attracts me, I buy the book. It's like opening a surprise package." If my friend should see the latest cover of Pinyon Review #7, Celebrating the Arts and Sciences, he probably wouldn't look much further, and he'd be pleasantly surprised he had chosen a literary journal that would take him beyond the exterior of the publication. The vivid purple and green abstract design of the journal's cover rendered by Susan Elliott, co-publisher of Pinyon Review, is a real eye-catcher. Susan designs all of the Pinyon Review covers, but this one derives from an original painting she created as a watercolor background to accompany poems in Open the Gates, a book of animal-focused poetry by Dabney Stuart. And it's stunning! "I pressed cellophane into the paint to create abstract designs which I incorporated into images representing forest, ocean, hot air balloon, sky, and land," Susan explains. "I worked on this set of watercolor backdrops while visiting friends in Jericho, Vermont. I recall spreading a dark purple sheet on their deck so I could splatter and splash with abandon. It was spring: birds and flowers popping out, choruses of spring peepers, long distance runs on forest trails..." (Readers will note that Susan's word pictures are as colorful as her actual paintings). Susan says that two of the bird poems by Stuart needed a painting so she visited the Jericho Settler's Farm to buy eggs and asked if she could collect some chicken feathers. She then created "Quail" and "A Bird, But Who?" with swirling feathers in airy blue and ochre paintings. 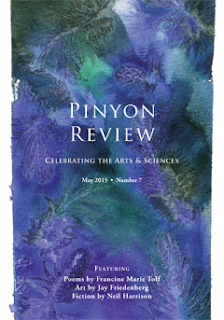 The dark blue-green and purple feather piece on the cover of Pinyon Review was also created that spring in Vermont. Susan brought it out of archival art boxes this year so that she could scan it, and after making a high-resolution scan of the piece, she enlarged the digital image just enough to emphasize the textures of the feathers and the play between watercolor pigments and rough watercolor paper. Susan had a lot to say about the heavy, rough watercolor paper, which holds more paint (pigment plus water) in the textured grooves. "Normally, watercolor paint dries very quickly but with rough, heavy paper, you have more time to mix 'wet on wet'," Susan said. "This way, you can mix the colors on the paper and let them play together. When the water dries, there is more pigment concentrated in the grooves. The edges of the painting (which were masked with tape) also concentrate the pigment in beautiful patterns, as do the edges of the feather imprints." Voila! The cover of a literary journal that would have entranced my friend who judges books by their covers! In addition, the Pinyon Review title page image, "Feather Jig," is a reconstruction of focal areas on the full painting. From the digital image, Susan extracted rectangles highlighting the play between paper, pigment, and feathers and arranged the pieces in a jigsaw puzzle-like design, which she described as jiggling "as much as they fit together, invoking a happy dance-like jig." 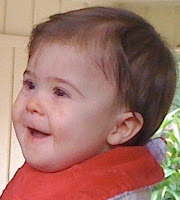 The jig is reminiscent of Susan's personality—lighthearted with a lively dancing spirit. Susan is what I'd call a "protean woman." She has formidable credentials with a B. S. in Botany and a B.S. in French from Humboldt State University and a Ph.D. in Biology from Dartmouth College, but today she concentrates on the artwork for Pinyon Publishing located on the Uncompahgre Plateau, adjacent to the San Juans of the southern Rocky Mountains. She paints, plays music, designs books, hikes, gardens, cooks, writes, and illustrates books. Her book credits include illustrations for Dabney Stuart's Open the Gates, drawings and paintings for Why Water Plants Don't Drown with Victoria I. Sullivan, and illustrations for Spilled Milk by Gary Hotham. She has co-authored Ophelia's Ghost, Fall of '33, Remembering the Parables and Making the Most of WriteitNow4 with Gary Entsminger, editor and publisher of Pinyon Publishing. Inside the latest issue of Pinyon Review, readers will find the work of eighteen outstanding poets, a short story, and more art by Jay Friedenberg. Among the poets who have often appeared in this journal are four whose poems represent impassioned social experiences and emotional reflections, including a nostalgic piece by Gary Entsminger. The poem, reminiscent of the style of e.e. cummings and beat poets, is a toe-tapping, robust experience that causes the reader to want more of Entsminger's highly-charged poems. It begs to be read aloud with other people. For the sun to rise above the shadowed hill. Miller's poems are often startling insights into human vulnerability and reverberate with emotional power. In sharp contrast, she gives readers the pleasure of "Flowers in Winter:"
covers my crocus bulbs, my hyacinths. Shaw's delight in the natural world invites readers to get on with things as she attends to the business of creating hope with her delightful poetic vision. it has the last laugh. This issue of Pinyon Review is a keeper and represents the best of art and poetry. You may want to frame Susan's cover. Copies of Pinyon Review #7 are available at amazon.com or order from Pinyon Publishing, 23847 V66 Trail, Montrose, CO 81403. -Know that this list isn't complete but will do for starters on "making contented;"
-Be glad you're on this side of the grass and that you're here, NOW.